103 Indian Lake Ct.Hendersonville,TN 37075U.S.A. 500 5th. Ave W.Springfield,TN 37172U.S.A. 952 9th Ave SNashville,TN 37203U.S.A. 115 Glendale Garden DrNashville,TN 37204U.S.A. 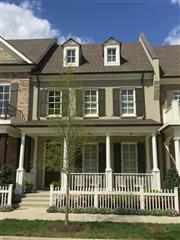 300 Stanley Park LnFRANKLIN,TN 37069U.S.A. 600 12th Ave S #822Nashville,TN 37203U.S.A.